The best. 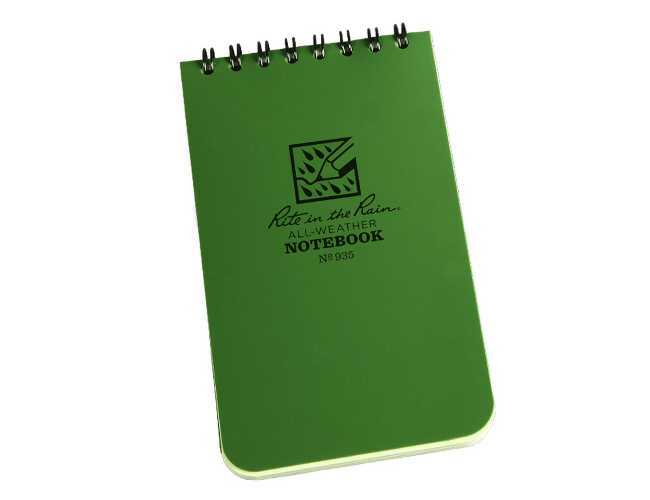 Write in the rain waterproof note pad spiral bound colours olive and buff. Sought after note book. this is a quality item.